Anyone can grow carrots & parsnips! Thanks Gill! I know you took up vegetable gardening four years ago. Haven't you done well! 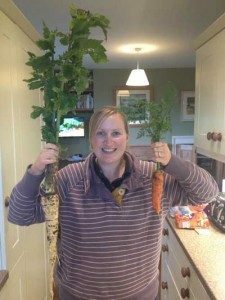 Your photo will inspire new gardeners - knowing that anyone can grow carrots & parsnips!